When I received an invitation to the Santa Barbara Vintners Festival Grand Tasting, it was the prefect excuse for a weekend getaway. The Spring Weekend Festival takes place over 4 days with the Festival Grand Tasting as the main event of the weekend. We drove up early Saturday morning to the River View Park in Buellton. It was a beautiful day. The sun was shining and the temperatures were moderate with a lovely cool breeze. 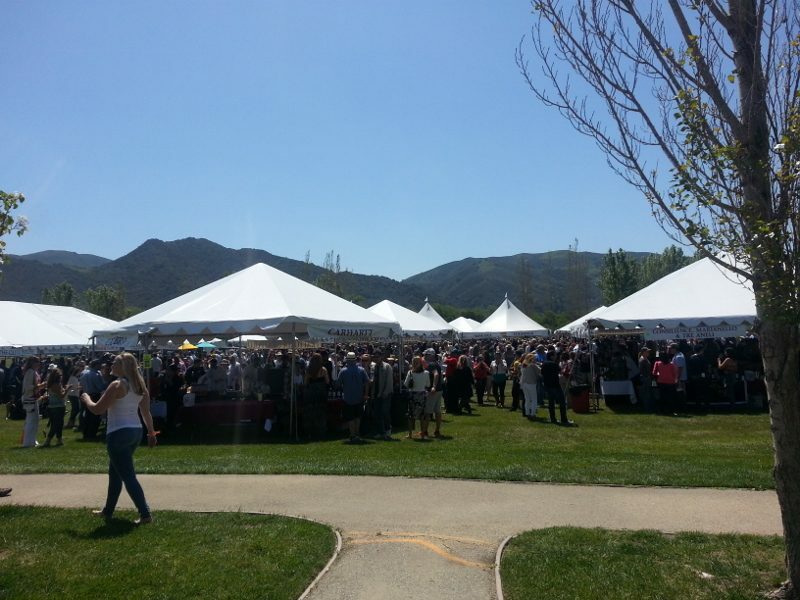 With over 100 wineries pouring wine, along with food and music, we strolled from tent to tent to taste some of the best wines in the region.